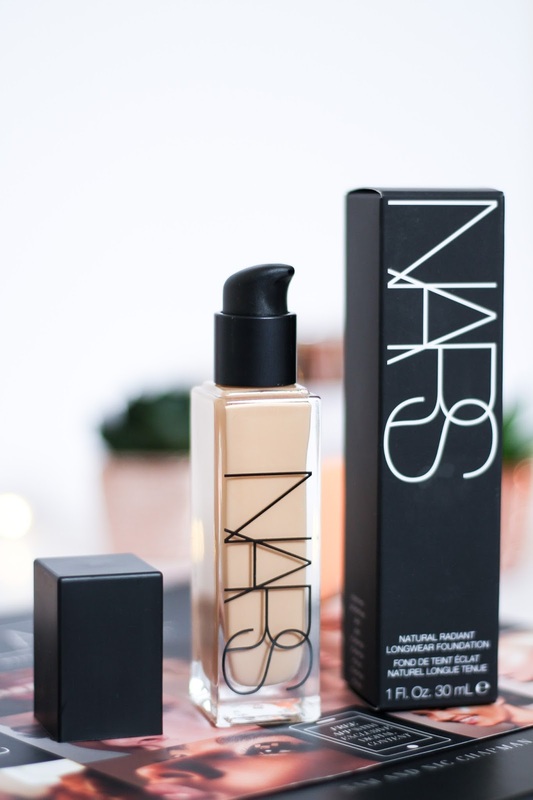 Unless you are living under a rock, you have probably heard of the new NARS foundation – the one that will give you a super natural high coverage looking skin. Weird right? How can it look natural and give you such good coverage? I am not the one to fall for very hyped products. 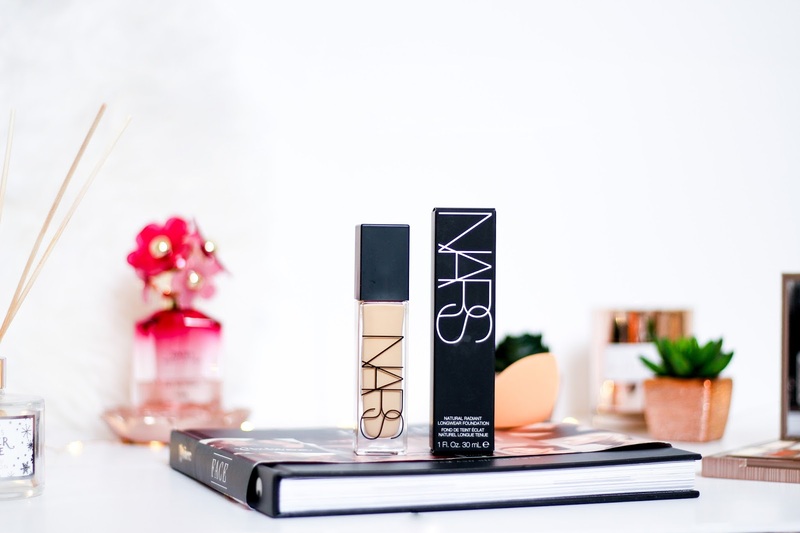 Sometimes I think that it is all for nothing and most of the time it isn’t as good as they say but after trying out the NARS Natural Radiant Longwear Foundation for the past few days, I have already made an opinion that I am ready to share. I have become a pro on buying foundations online. Whilst before I was afraid of getting the shade wrong, now I take the risk and manage to get it right most of the time and when I don’t, I make it work. I bought the NARS Natural Radiant Longwear Foundation in the shade Fiji and it is the perfect match (as for reference I am shade Y245 on the Make Up Forever Ultra HD Foundation). With a total of 33 shades you have a lot to choose from and it includes all the pink, yellow and neutral undertones from lightest to darker skin tone. The packaging continues to be very sleek and elegant and I do know that the previous NARS foundation doesn’t come with a pump but this one does, which is a massive plus for me! 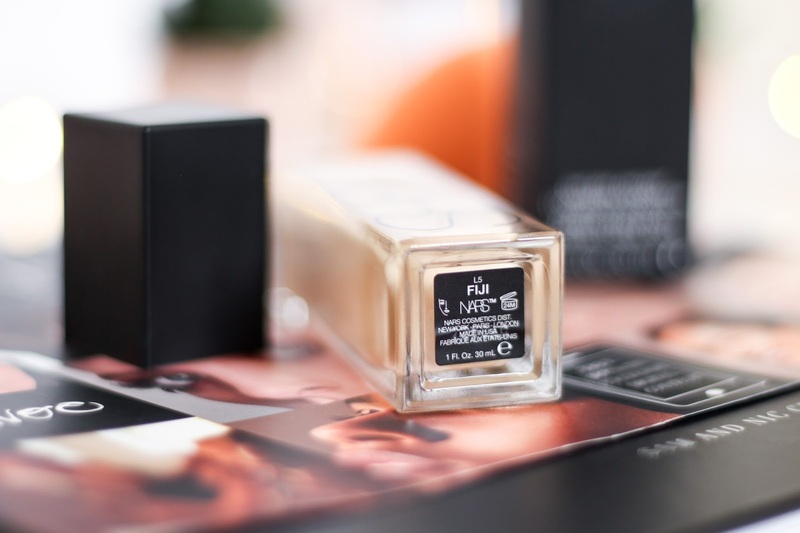 What NARS claims about the foundation, you ask? Well, they basically say that this is a full coverage, longwear foundation that is lightweight and radiant and they even to go the extreme of saying that high coverage is now supernatural. That is a big statement about a foundation, right? Apart from all this, they also state that this is a foundation that will help smooth and improve the look of your skin instantly. What?! When I first tried it I used a pore minimising primer after my normal skin care routine. Both me and my partner thought it looked quite dry and heavy on the skin, although I felt like I had no makeup at all. So the lightweight bit is true. That day was also the day I traveled for a whole day so I thought that it wasn’t a fair thing if I didn’t give it another shot. I honestly wasn’t liking the way it looked on my skin at all. I considered that maybe the primer wasn’t the best one and I also might have applied a bit extra foudation with no need, so I tried it again. You all have heard about the Smashbox Photofinish Primerizer, right? Well I have and as a girl with very dry skin I thought that maybe this primer would work perfectly with this foundation so the next time I applied the NARS foundation, I used this primer first. One to two pumps and let sink into your skin. Then, instead of two pumps and a half of foundation as the first time, I reduced it to one pump and a half and decided that if I needed more coverage I would add it to those areas. I always apply my foundation with a damp beauty sponge and this time was no different but the change of primer and the fact that I applied much less foundation than before made such a difference! The skin looked flawless, airbrushed and radiant. It definitely looked healthy and very glowy. The primer might have helped but I also tried half of my face without the Smashbox Primerizer and the skin still had a beautiful, healthy glow just with the foundation on top and I absolutely love that look! So if you have particularly dry skin, make sure you moisturise it really well and this foundation will look great. I also think that it will have a beautiful finish on people with oily or normal skin, it has that nice in between matte and very dewy foundation that I find to look good in any skin type. 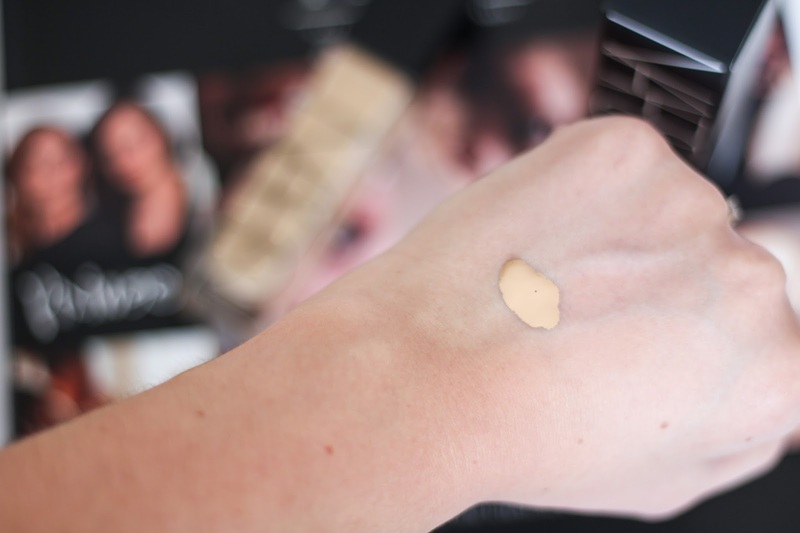 As for coverage, it is in my opinion a high coverage foundation – with the one pump and a half I cover all the imperfections and most of my little freckles on my nose and rarely need to add any extra product. It definitely covers any redness, discolouration or spots. This isn’t a very liquid foundation but it also isn’t too thick and heavy on the skin – again, it is a nice in between. You can definitely build the coverage to your preference by just applying less if you want are going for a more natural look but if you love your high coverage foundation, I feel like this one might go to one of your top favourites. When I apply this foundation, my skin still feels very light and breathable which I love but despite of the fact that I have dry skin and normally avoid setting the foundation with powder I fell like I always need to do that with the NARS Natural Radiant Longwear Foundation as it doesn’t dry down completely and still feels a bit tacky but I do try not to go overboard so I can keep that radiant looking skin. As for longevity, I have to say that it is pretty impressive. For example, on the day I travelled I wore it for around 12 or 13 hours straight. I ate, I watched a movie, I had a little flight nap and my eyes were watery as per usual but it stayed in place. It also doesn’t skin into my smile lines as much as my other foundations and that is such a big plus! Overall I do think that this foundations is definitely worth the hype and if you have a NARS counter where you can at least get a sample, you should definitely try it. It also looks beautiful in pictures and I didn’t notice any flashback. I might go as far as saying that this is quickly becoming my favourite foundation not only for special occasions and nights out but even everyday makeup but I normally tend to save the more high end foundations and use the drugstore for my everyday wear but the fact that the NARS Natural Radiant Longewear Foundation is so natural looking makes it so wearable for an everyday look! Have you tried this foundation? What are your thoughts and let me know if it suits your skin type so we can all help each other!